In real estate, many people are familiar with the spring market where activity and prices jump (also possibly peaking for the year). However, what most people are not as familiar with is that there is a summer rental market in Toronto. The Wrinkle – The summer rental market is when everybody’s leases are up for renewal and tenants are usually looking for a new place to live. The summer rental market is usually the norm that we see, but this year, we are going to have a huge wrinkle in this market. This anticipated wrinkle will arise because of the 1-year anniversary of rent control. Traditionally, the supply of rental units spike during this time of the year and continues until about the end of July. However, this will not be the case this year due to rent control. Here is a quick snapshot of the rental rates in downtown Toronto right now. The chart below highlights the rental stats from November 2017 versus the stats for the present day, May 2018. The amount of available units to lease is down 34%. No media headline is going to highlight this for you because it’s not an attention-grabbing sales number. But do allow me to shed some light on the severe magnitude of this statistic that nobody else is writing about. Historically, November is a slow month for rentals. On the other hand, May is the start of peak rental season. In the peak season this year, we are starting with 34% less supply already, combined with many reasons to expect even less supply moving forward. Now look at the rental rates, they’ve increased on average 10% in the last 6 months before the May peak rental season. We could potentially see a 20% price increase year-over-year if we maintain price hikes at this rate (or perhaps maybe even more). Good job rent control – you did exactly the opposite of what you were supposed to do! As per Chart C above, each square foot that is rentable is going up in price. 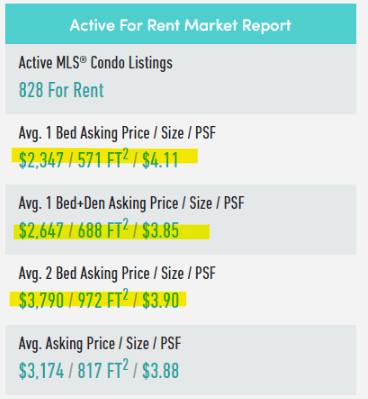 So at this point, you may be asking, well how is the rental cost per square foot going up even higher than the average rental price itself? Shouldn’t it be the same percentage as shown in chart B? Chart D below ought to explain this. As evident in the chart below, the size of the rental units is clearly getting smaller! We are at a junction where there are two rental markets. 1) Pre-rent control units that are leased for less than the market price. Surely, nobody will move out of these units, which means these units will not contribute to any supply. 2) Post-rent control units where landlords know they can only increase their rents annually based on what the government arbitrarily deems as inflation. For 2018, this increase is 1.8%. Connecting the Dots – Calling all condo investors, get ready to raise your rents if you have units coming onto the rental market. It’s going to be a blood bath for tenants and as an investor, you need to be well prepared in order to capitalize on this situation. I’ve already advised many of my clients to price rentals at rates that are much higher than usual. So what does this mean for YOU? It’s a great time to be a condo investor. If you’re not one already, perhaps it is finally time for you to give it a go! Give me a call and we can help you work out a strategy that best suits your long-term wealth-building plan. Previous Previous post: Predicting the Future… Back in 1990! 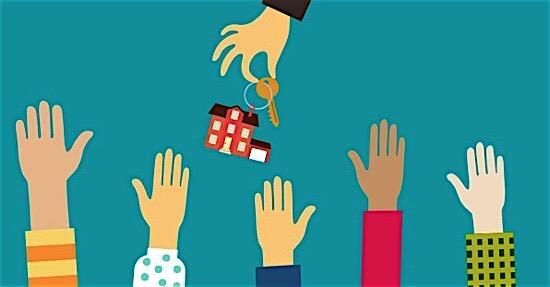 Next Next post: Generation Millennial – The Next Wave of Buyers or Renters?